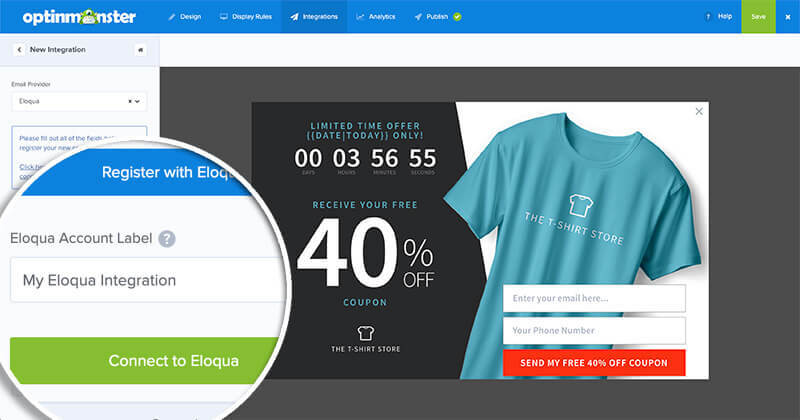 OptinMonster offers seamless integration with the Eloqua email marketing service. Connecting OptinMonster to your Eloqua account is very easy. Follow our step by step guide on how to connect OptinMonster with Eloqua. REQUIREMENT: Our native Eloqua integration required a Pro subscription. However, you can still use our Custom HTML integration with a lower subscription. Next, select Eloqua from the Email Provider dropdown. 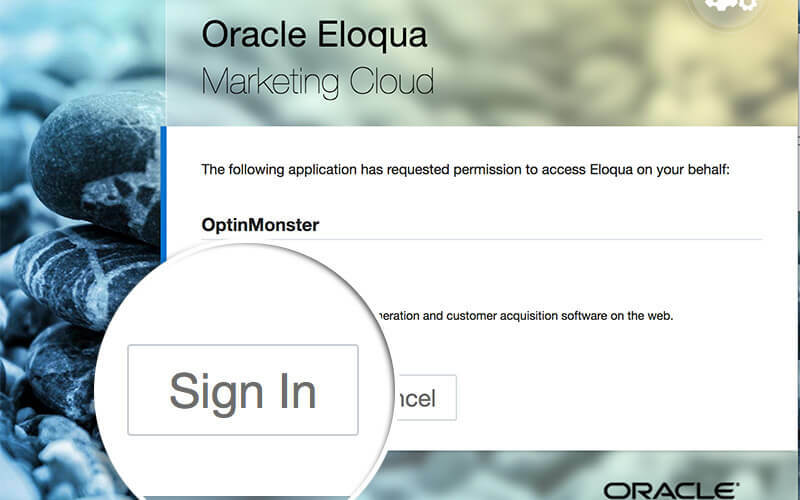 OptinMonster uses OAuth2 to authenticate with your Eloqua account. 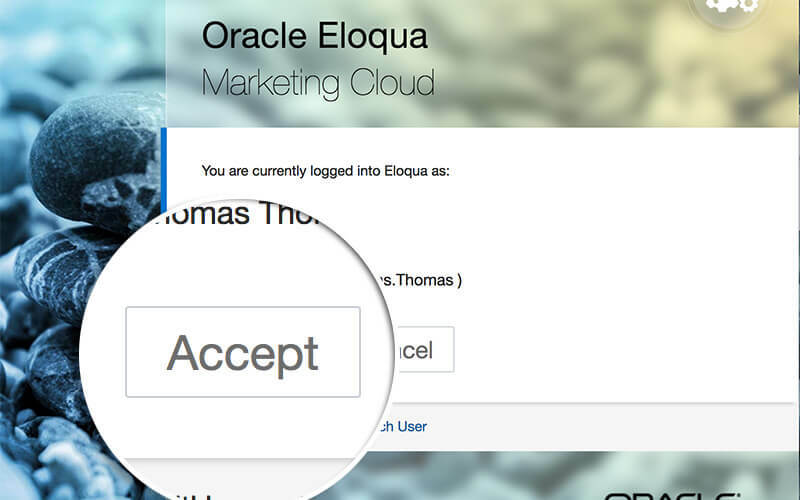 Select the Register with Eloqua button to begin the process. 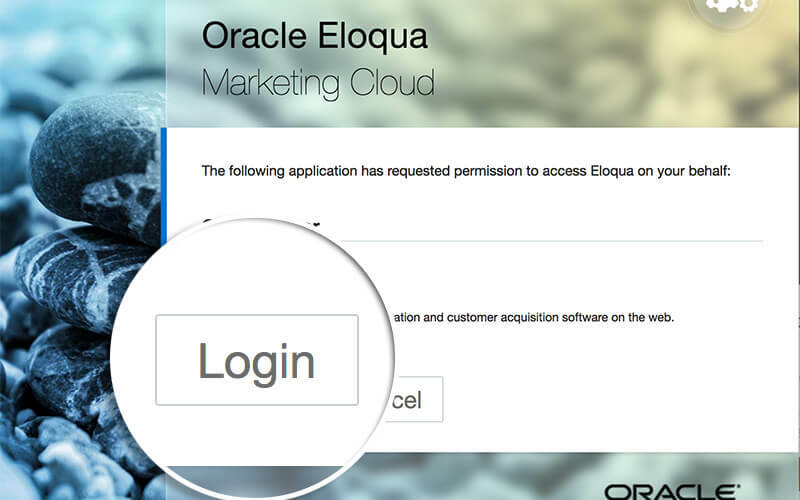 A new window will appear, indicating you’ll need to Login to your Eloqua account to proceed. Select the Login button to continue. 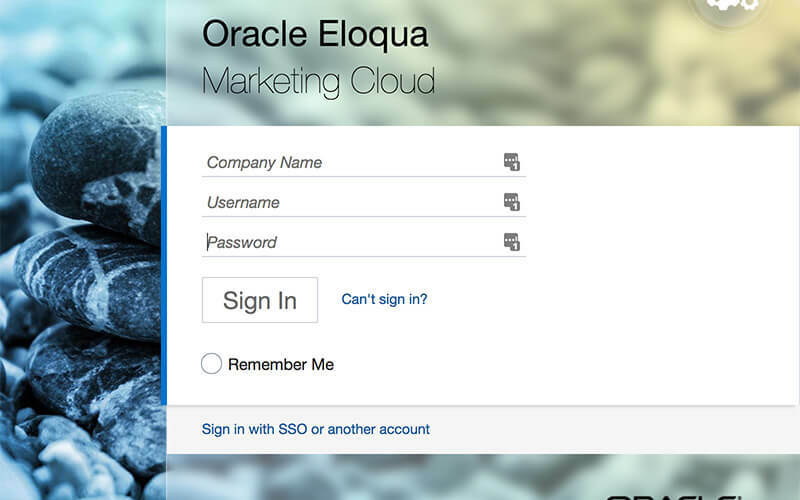 On the next screen, enter your Eloqua account login credentials, then select the Sign In button. Once you’ve logged in, Eloqua will prompt you to Sign In to your account to proceed. Select the Sign In button to proceed. Finally, you’ll be asked to authorize OptinMonster to connect with Eloqua. Select the Accept button to finish. 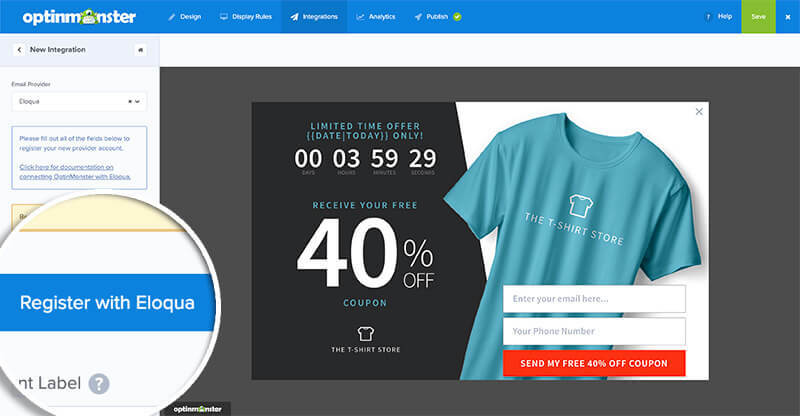 Eloqua will authorize OptinMonster to connect to your account and the window will close automatically. When the window closes, enter a unique label for your Eloqua account and select the Connect to Eloqua button. OptinMonster will now connect to Eloqua and fetch your email groups. 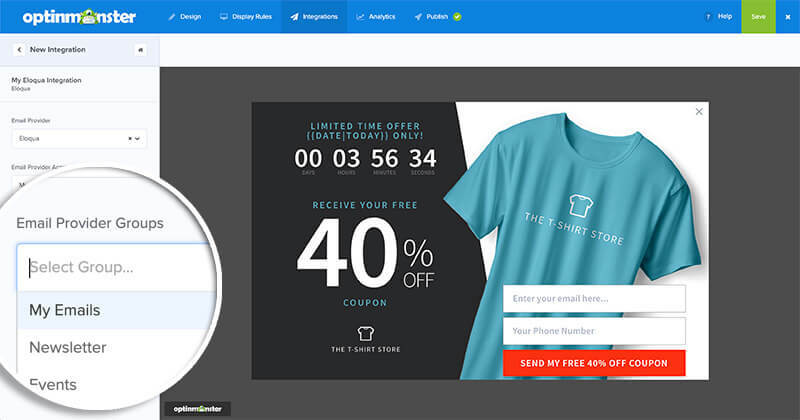 Choose an email group you want new leads to be subscribed to. That’s all, you have successfully connected OptinMonster to Eloqua! Ready to publish your campaign? 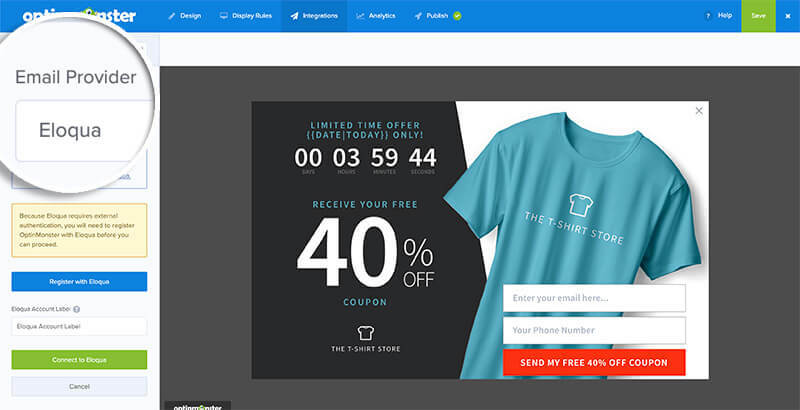 See our guide on how to embed your campaign on your website! A: See our guide on single vs. double opt-in for Eloqua. A: Yes! You can add a phone field. Learn how to capture phone numbers with OptinMonster.